Nordstrom, Inc. is American leading fashion retail, founded by Mr. John W. Nordstrom and Carl F. Wallin in 1901 and headquartered is in Seattle, Washington, USA. The company began as a shoe retailer then expanded to include clothing, footwear, jewelry, beauty products, restaurant, home furnishings and design. There are more than 200 stores operating in 36 states that includes 117 Full-line stores and 151 Nordstrom Racks. Nordstrom also serves customers online in 96 countries through their website at Nordstrom.com and they also partnered with HauteLook, an online private sale site that will give their customers access to off-price fashion and other savings. Currently their site serves customers only in Canada and Australia. Back in 1887, 16 year old John W. Nordstrom from Sweden left his homeland and immigrated to the United States in search of opportunity. He landed in New York then in Michigan and after working from a series of jobs he moved across the country. He saved enough money and purchased a 20 acre potato farm in Washington. Then one morning, he saw from a newspaper headline that there was a gold found in Klondike in Alaska so he made the decision on that day to leave for Alaska. John persevered and within two years of hard labor, he earned $13,000 from a gold-mine stake. He returned to Seattle with his newfound wealth, he got married and decided to look for a business venture. John reunited with a friend from his Alaska days, Carl Wallin, who owned a shoe-repair shop in Seattle. They opened a shoe store in 1901 and named it Wallin & Nordstrom where the humble beginning of Nordstrom, Inc. started. From the start, John wants to provide exceptional service, selection, quality and value to all of their customers. And in 1928, John retired and sold his shares to his sons while Carl Wallin retired a year later and also sold his shares to John’s sons. In 1960, their shoe shop had become the largest shoe store in the country and they had eight locations in Washington and Oregon, which was the largest independent shoe chain in the United States. 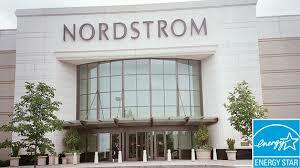 Nordstrom also ventured into the women’s clothing market in 1963 and in 1966 men’s and children’s wear were added. By 1968 the three Nordstrom brothers handed the company to their third generation. The company renamed into Nordstrom, Inc. after going in public in 1971 and recognized as the largest volume fashion retail store on the West Coast. As an Operation Analyst, you will manage all Production Batch Scheduling changes thru an automated scheduling tool including Unix, Linux, Windows, iSeries and zSeries. You will also handle multiple assignments. You should have at least 2 years experience in developing and maintaining production scripts. Ability to work independently with clear and effective written and verbal communication skills. As a Buying Office Assistant, you will facilitate processes to accurately and efficiently enter, track and manage purchase orders. You will communicate with suppliers in a timely manner on purchase orders. As a Distribution Center Assistant Manager, you will be responsible for the recruitment, interview, hire and retain qualified employees for all positions. Assist in enhancing department vision and strategies to support company goals. You should be motivated, results oriented and committed to providing excellent customer service every day. Current employees said that Nordstrom is a good company, a great place to work if fashion is your career. They offer with a lot of opportunity to move up and have a long-lasting career in retail. Management is eager for everyone to do well and helps in whatever they can. They have a strong leadership from the Nordstrom family who are very involved in the business. The employee satisfaction is very satisfied with 74% of employees will recommend the company to their friends and 90% approve by the CEO Blake W. Nordstrom. At Nordstrom you can feel confident that the company will prioritize your health and well-being because they offer a comprehensive, flexible employee benefits package for their employees, including medical/ vision and dental coverage, merchandise discount, an employer matched savings and profit sharing plan and many more. 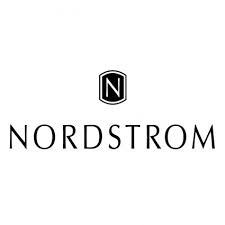 Apply now and discover a rewarding career at Nordstrom, Inc.